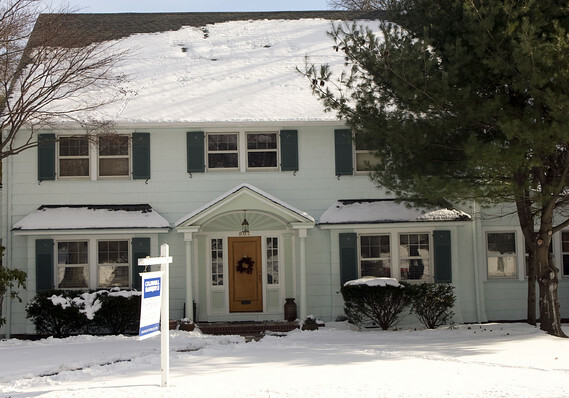 A home for sale in snowy New Jersey. The numbers: Existing-home sales ran at a 5.51 million seasonally-adjusted annual rate in February, the National Association of Realtors said Friday. That was an increase of 11.8% for the month. What happened: Sales of previously-owned homes shook off the winter blahs as mortgage rates remained subdued, incomes kept growing, and more inventory helped the housing market regain some balance. The month-over-month increase was the biggest since December 2015, when sales rebounded after a regulation-induced slump. It handily beat the MarketWatch consensus forecast of a 5.12 million pace. The February pace of sales was 1.8% lower than a year ago, and the median sales price during the month was $249,500, 3.6% higher compared to a year ago. First-time buyers accounted for 32% of sales in February, still well below their long-time average of 40% and making zero progress since the crisis. Big picture: A little more inventory is helping, as are tame mortgage rates and, perhaps, a little more certainty about personal tax situations. Still, the housing market remains very constrained. At the current pace of sales, it would take 3.5 months to exhaust available supply, and demand remains clearly very strong. The long-term average has been 6 months. Sales in the Northeast were unchanged compared to January, while they were 9.5% higher in the Midwest. In the South, sales surged 14.9%, and in the West, they were 16% higher. “The lost ground from last year likely won’t be recovered – the SALT limit was a real, sustained hit – but the point is that the Feb sales numbers, if sustained, challenge the market narrative that housing is going to be a drag on the economy for the foreseeable future,” wrote Ian Shepherdson, chief economist for Pantheon Macro, after the NAR data was released. Market reaction: The Dow Jones Industrial Average DJIA, -0.04% , which has gained more than 11% in the year to date, was little changed after the housing data was released but has dropped sharply on Friday due to concerns about U.S. and global growth. Exchange traded funds of home builders ITB, +0.52% XHB, +0.50% moved higher, however, after the home-sales release.